Knowing what flowers that are in season may not seem like your first priority when picking your wedding date, but it can make a big difference down the road. For instance, if peonies are your favorite bloom (like they are mine), then you'll want to wed in late spring. Is it possible to get peonies shipped to your florist in January? Sure, but picking flowers that are in season in your own climate means you'll be able to use locally grown flowers, your flower quote will be lower, and most likely your blooms will be fresher. 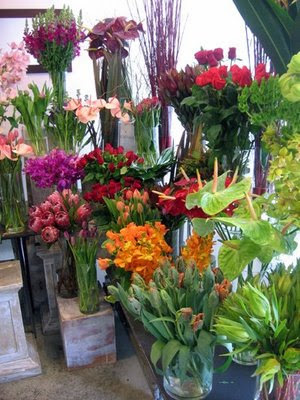 Another floral factor to consider when choosing your date are surrounding holidays. While this Saturday would seem like a great day to wed to get fresh spring flowers, you have to remember that you'll be competing with Mother's Day, and Mom usually wins. That doesn't mean you can't get the blooms you want, but given the basic law of supply and demand, there will be less, so will pay more. Makes sense, right? Flowers can make a huge impact on your big day. They can add character, color, and bold personality to your celebration, so just make sure you know what's growing in the season you'll wed, so you're not disappointed when your favorite flowering bulb isn't available in the dead of winter.